So, The engine fuel systems job sounds pretty basic. It delivers fuel from the fuel tank to the engine. Testing the engine fuel system is relatively simple. The engine fuel system consists of the filler hose, fuel tank, fuel pump, fuel filter, fuel injection and fuel lines. So, The engine fuel system needs to do two important things. It needs to get the fuel to the engine and it needs to have the correct pressure and volume. Consequently, A failure in any of these engine fuel system components can have a devastating effect on performance and reliability. So, The engine fuel system doesn’t need a lot from you. But what it does need is periodic filter replacements and fuel injector services. Furthermore, The engine fuel system is critical in storing and delivering the fuel your engine needs to run. Does the pump run when the engine is cranking? The fuel pump should make a buzzing noise. No noise would tell you the pump is not working. The pump circuit may be wired though an oil pressure switch and/or an inertia safety switch. Consequently killing the pump in case of an accident. Always refer to the wiring diagram to find out what is involved before jumping to any conclusions. So, Depending on the application, the fuel system may require anywhere from 30 to 80 psi of fuel pressure. Also, Pressure specifications will vary according to the type of fuel injection system on the engine. There are no rules of thumb. 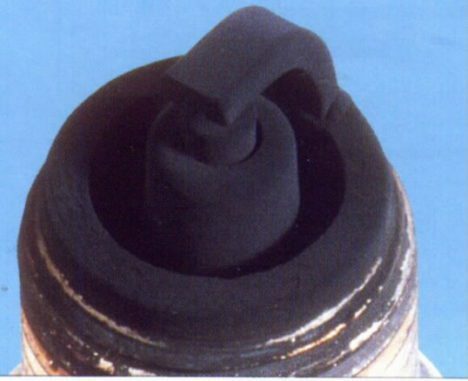 Every application is different, so always look up the pressure specs when troubleshooting fuel-related performance problems. When there is too much fuel pressure, the engine runs rich. As a result, this causes an increase in fuel consumption and carbon monoxide (CO) emissions. 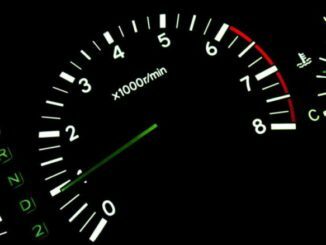 An engine that is running really rich also may experience a rough idle, surging and possibly even carbon-fouled spark plugs. So, This test measures the sustained fuel pressure recommended by the manufacturer. It can be performed by simply energizing the fuel pump. When the fuel pump is energized it will raise the fuel pressure and hold it steadily at a fixed value. So, When the pump is turned off, the system should hold residual pressure for several minutes. 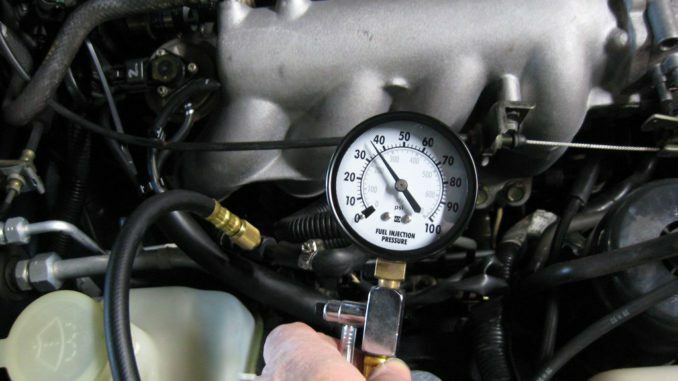 Low residual fuel pressure can cause hard starting and a vapour lock during hot weather. 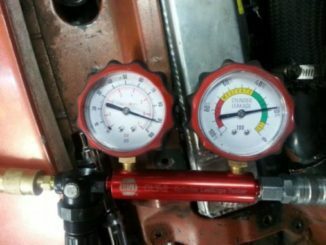 So, This test is performed by idling the engine and comparing the gauge reading to the specifications. So, This test checks the maximum output pressure of the fuel pump. If you pinch the return line, the pump should produce double the normal operating pressure at idle. Consequently, If the pressure fails to rise, it may not be able to deliver sufficient fuel at high engine speeds. So, A fuel volume tests the pump’s ability to deliver the correct volume of fuel over a certain period of time. You could have correct fuel pressure and still have drive- ability issues. 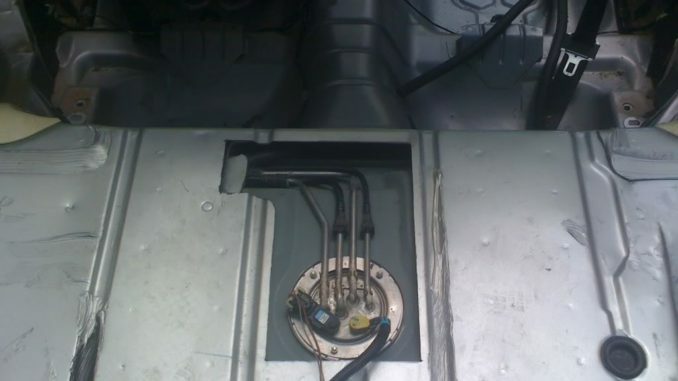 Due to, the fuel pump not being able to deliver enough fuel volume to meet the engine’s needs. So, This test checks the regulator to ensure that it changes line pressure with respect to changes in engine vacuum. 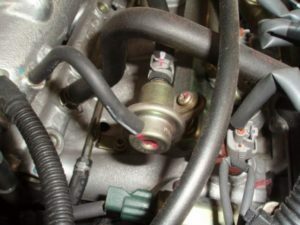 With the engine running, disconnect the vacuum hose from the pressure regulator. 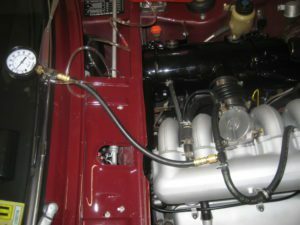 As a rule, the fuel system pressure should increase 8 to 10 psi with the line disconnected. No change would indicate a faulty pressure regulator, or a leaky or plugged vacuum line. 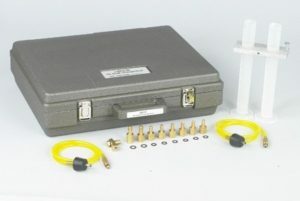 Consequently, Checking fuel pressure is an essential part of fuel injection system troubleshooting. Before doing any fuel pressure testing, it is a good idea to understand how fuel system components work. So, The fuel pump pumps fuel from the fuel tank to the fuel pressure regulator. Then, The fuel pressure regulator divides the fuel between the pressure line and the return line. Furthermore, the fuel in the pressure line feeds the fuel injectors. In the end, the fuel in the return line returns to the fuel tank.